Pleading guilty to a traffic ticket by mail is a conviction. And a conviction will result in fines and surcharges from the court and points assessed against your record - often even if you are not licensed to drive by New York State. Out-of-State and Canadian Drivers. For multiple speeding or traffic ticket convictions, the DMV will impose additional fines and may suspend or revoke a driving license. Insurance companies may also punish traffic convictions with increased premiums or dropped coverage. We are absolutely committed to prompt and responsive client communication. Most often, you will speak with a lawyer immediately. If not, we return all calls and emails the day they are received and typically within an hour. With over 50 years of combined experience, our lawyers and staff work together to help ensure that your case has the best possible outcome. 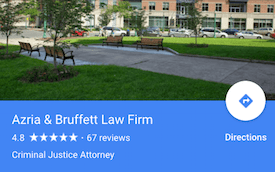 The firm's hard work has earned excellent reviews for our lawyers and firm on Avvo.com, Google, and other services. We are ready to bring that same level of service to your case. Mr. Azria is the managing partner at Azria & Bruffett. He started and heads the traffic defense practice and handles criminal appeals. Mr. Bruffett is a partner and our primary courtroom litigator. 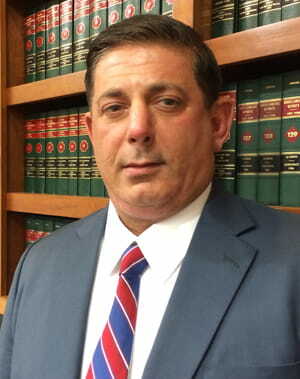 He worked as prosecutor with two counties in NY for almost a decade and successfully brought numerous felonies to trial. He was a civil litigator for years in a mid-size insurance defense firm. He has denfended hundreds of traffic, DWI, and criminal cases. 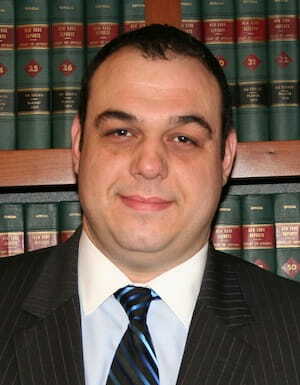 Since 2012, has been a town court judge in Cicero NY.